Animal Adaptations: Students color a chameleon and pin it up somewhere in the classroom. Can you find their camouflaged chameleons?! - inspired by the Children's Museum of Houston Butterfly Hunt. 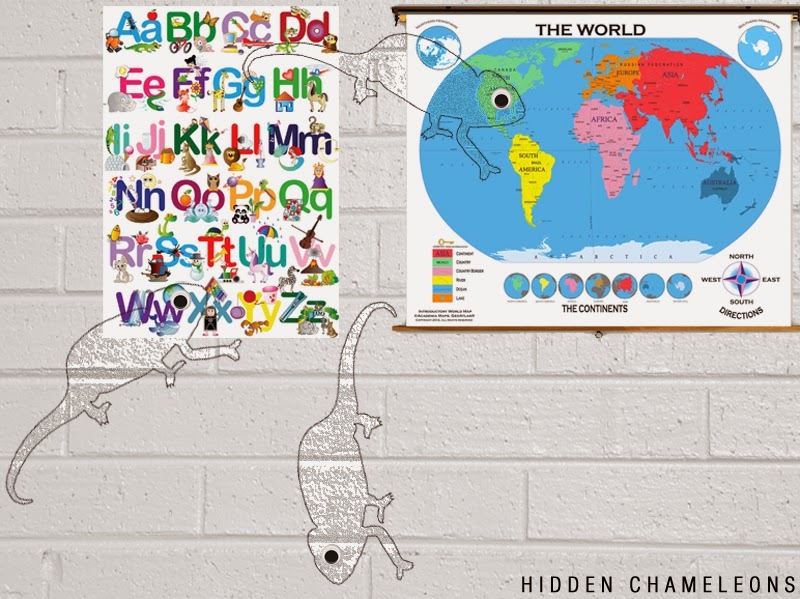 Visit Education.com for a chameleon color changing experiment! Writing: What is your chameleon trying to communicate? For example, if he changed to blend in with the map, does he want to travel? You could also do this activity with octopi or cuttlefish templates.